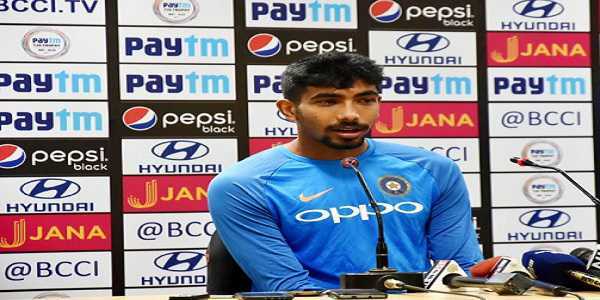 New Delhi: Right-arm fast bowler Jasprit Bumrah has been rested by the Board of Control for Cricket in India (BCCI) on Tuesday, for India's one-day international series against Australia and New Zealand, while Mohammed Siraj has been called up in place of Bumrah, while Siddarth Kaul has been drafted into the squad for the T20 Internationals. "The Board of Control for Cricket in India (BCCI) has decided to rest India pacer Jasprit Bumrah for the forthcoming ODI series against Australia and the tour in New Zealand. Keeping in mind the work load of the bowler, it was best felt to give him adequate rest ahead of the home series against Australia," the statement said. "Mohammed Siraj will replace Bumrah in the squad for the Australia and New Zealand tour," the BCCI statement added.According to the statement, the 28-year-old pacer Siddarth Kaul has also been drafted into the squad for the 3-match T20I series against New Zealand. Bumrah was the top bowler in the recently concluded Test series in which India registered thier first-ever win Down Under where he bowled 157.1 overs and picked 21 wickets at an average of 17. In third Test he too 6 wickets for 33 runs which is his best figure in the format. The right-arm fast bowler, who had made his Test debut just 12 months ago against South Africa in rainbow nation, has established himself in all three formats. The present Indian bowling attack comprising Bumrah, Mohammad Shami, Umesh Yadav, Bhuvneshwar Kumar and Ishant Sharma has been hailed as the best ever Indian attack overseas. The decision to give Bumrah rest comes in the wake of India skipper Virat Kohli emphasising on managing the workload of the fast battery. He said that we need to take care of our fast bowlers especially managing workload is important. And that's what going to be our priority going forward.